Join the PTA board! 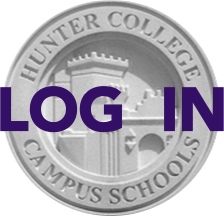 You’ll learn about how Hunter works and lend your voice to decisions we make about school. We’re taking nominations now for open positions on the PTA board and on the myriad PTA committees. PTA board elections will take place at the PTA meeting on Wednesday, May 25. We would like the PTA board and committees to reflect the diversity of the school population including parents from all grades. Whether you only have a couple of hours or want to make a bigger commitment, we’ll find something for you. For brief descriptions of board positions and committees, refer to hunterpta.org/positions-committees. Assistant Treasurers: Manage and monitor the money we raise and the money we spend. We’re looking for two people to work together. Recording Secretaries: Join the team of volunteers who takes notes at PTA meetings and events. Annual Fund: Help plan and implement fundraising efforts for our biggest source of revenue. Events: Coordinate food for all of the PTA events including PTA meetings and two Teacher-Appreciation lunches. We are looking for at least two people to work together. Auction: Join the team that plans the biggest fundraising event of the year. Want to get involved? Email nominations@hunterpta.org or send us a note at president@hunterpta.org and we’ll help match your skills, interest and time to an area where you can contribute.